Jair Bolsonaro boasts that opponent Fernando Haddad could only beat him by ‘fraud’ in Sunday’s decisive election run-off, with polls indicating the far-right frontrunner has a seemingly unbeatable lead. In the lead-up to Brazil’s elections, Peter Rooker struggled to find a presidential candidate he believed in out of a field of 13. He was sure of one thing, though: He would not vote for far-right congressman Jair Bolsonaro or Fernando Haddad of the scandal-tainted leftist Workers’ Party (PT). But it was precisely those two candidates who emerged from an inconclusive first round of voting and will meet tomorrow in a run-off — and Rooker isn’t happy about it. “I wish I could support a good candidate instead of having to choose the lesser of two evils,” said the 22-year-old event promoter from the southern city of Curitiba. He isn’t alone. Twenty-five percent of voters supported one of the other candidates in the October 7 first round. Because voting is mandatory in Latin America’s largest nation, those voters now must pick between Bolsonaro and Haddad, potentially swinging the election depending on what they decide. For many, that choice is excruciating, as polls have consistently indicated that both candidates have the highest rates of rejection – defined as when a potential voter says he or she will not support a particular candidate under any circumstances. Bolsonaro, a former Army captain, is reviled by many for his praise for Brazil’s 1964- 1985 military dictatorship, and for offensive comments about gays, blacks and women. Haddad, the hand-picked successor to jailed former President Luiz Inácio Lula da Silva, is hurt by the reluctance of many to return to power the Worker’s Party, which governed Brazil from 2003 until early 2016. “Centrist voters are orphans” right now, said Carlos Pereira, a political analyst with the think tank Getúlio Vargas Foundation in Rio de Janeiro. On the campaign trail both candidates hammer at what voters dislike about the other and no claim seems to go too far. Haddad’s team recently published a video likening Bolsonaro to Adolf Hitler, while the far-right candidate uses his daily Facebook Live chats to compare the PT to North Korean or Venezuelan regimes. In the first round, Bolsonaro got 46 percent of the votes, compared to Haddad’s 29 percent. Heading into the second round, polls say Bolsonaro’s support has increased to nearly 60 percent. He has won widespread support by positioning himself as the antithesis to the PT and much of the ruling establishment. He notes he has not been convicted of corruption – unlike many of Brazil’s top politicians – and promises to crack down on crime and fill his Cabinet with former and current generals. Hundreds of thousands have taken to the streets in recent weeks to oppose his policies and comments, while his supporters turned out for rallies across Brazil on Sunday. Opinions about the Workers’ Party also divide the country. Many credit Lula’s administrations, which spanned from 2003 to 2010, with lifting tens of millions out of poverty with social programmes while the country enjoyed a strong economy on the back of a commodities boom. 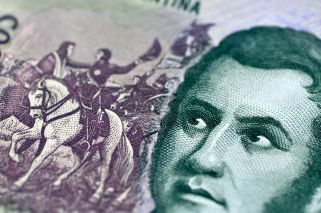 Yet for many it’s impossible to forget that the sprawling Operation Lava Jato (“Car Wash”) corruption scandal involving kickbacks to politicians happened while the party was in power. Brazil’s economy also suffered its worst recession in decades under President Dilma Rousseff, also of the Workers’ Party, who was impeached and removed from office in 2016 for illegally managing the federal budget. Rousseff, Lula’s successor, has always denied wrongdoing. “I feel dirty voting for the Workers’ Party after everything they’ve done, but Bolsonaro is dangerous,” said Rooker, who voted for centre-left candidate Ciro Gomes in the first round of voting. He came in third. For Anna Caroline Viana, a 21-year-old student in the capital of Brasilia, migrating from Gomes to Haddad is not as tough. While she does not want to see the PT back in power, she is not opposed to Haddad, a former university professor and education minister who most consider a moderate. Most importantly for her, Haddad is not Bolsonaro. “If the only way to beat a candidate who diminishes me for my skin colour and gender is to vote for the Workers’ Party, I will do that,” said Viana, who is black. 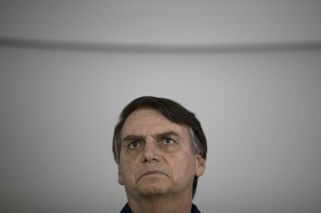 Bolsonaro, running on the Social Liberal Party platform, has offended many people with a stream of disparaging comments. He twice told a congresswoman she did not “deserve” to be raped by him because she was ugly. He has said descendants of slaves who live in “quilombola” settlements “are not even good to procreate.” He said he would rather have a dead son than a gay one. José Ricardo Ortolan said he does not like Bolsonaro’s rhetoric but believes he is adopting a more moderate tone. The 50-year-old physician is more concerned with Bolsonaro’s lack of experience with the economy and public disagreements with his vicepresidential running mate, Hamilton Mourão. “Still, it was an easy choice: My vote is against the Workers’ Party because of their history of corruption and their leftist ideology,” said Ortolan, from the southeastern city of Campinas. Ortolan’s preferred candidate was former São Paulo state Governor Geraldo Alckmin, whose market-friendly party traditionally competed as the PT’s main opposition. However, as Bolsonaro’s outsider campaign gained momentum, Alckmin’s support collapsed and he placed a distant fourth in the first round. When Rosangela Mesquita, 58, saw Bolsonaro’s rise in the polls ahead of the first round, she decided she would vote against the PT and for Bolsonaro. She plans to vote for him again later this month. “I didn’t have a choice. This election is showing how tired we are of the old Brazil,” said Mesquita, a newsstand owner in Rio de Janeiro. Helio Saboya, a 58-year-old lawyer in Rio de Janeiro, said he will cast a different kind of protest vote: a blank ballot. In the first round, more than 40 million voters did not choose a candidate. Twenty percent decided to pay the US$1-fine instead of casting a ballot, the highest abstention rate since 1998. Nearly nine percent handed in blank ballots, and the latest Ibope poll points to a similar percentage for the run-off. “I will throw my vote in the trash because that’s where it belongs in the face of these two candidates,” said Saboya. To Elizabeth Muller, 58, instability seems inevitable, though she is leaning toward Bolsonaro. “Regardless of who wins, there will be chaos because a huge portion of society will be dissatisfied,” she said.